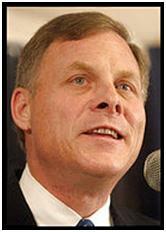 US Sen. Richard Burr, R-N.C. In case you missed it, North Carolina’s senior senator Richard Burr has changed his position on the U.S. Supreme Court vacancy that was created by the death of Justice Antonin Scalia. “If Hillary becomes president, I’m going to do everything I can do to make sure that four years from now, we’re still going to have an opening on the Supreme Court,” he said. Click below to listen to an excerpt of the audio first reported Monday by CNN. Honestly, I’ve scraped better of the sole of my shoe…all the more reason this buffoon should be voted out of office. Quite clearly, Burr has no intention of doing the job he is (overpaid) to do, and chooses to represent the extremists of the far right.